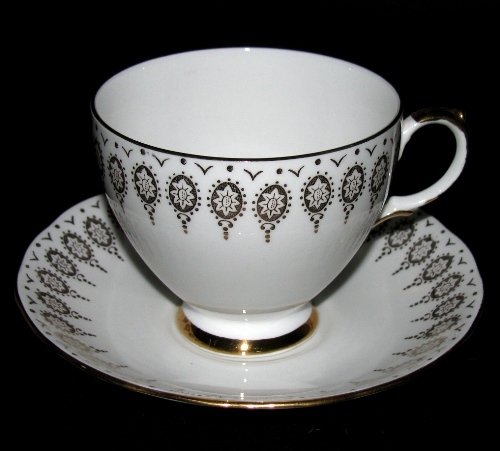 Vintage Queen Anne Gold Gilt Teacup and Saucer - Pretty! 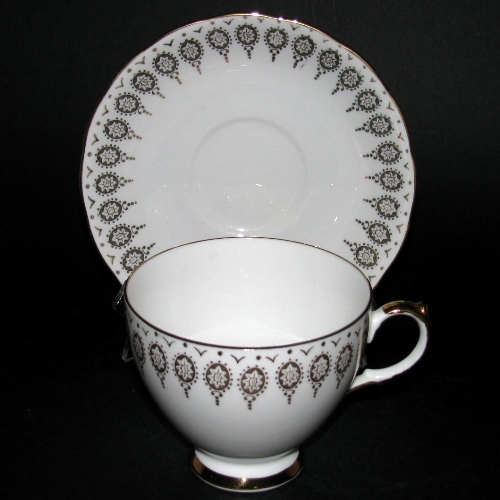 PRETTY Queen Anne gilt decoration teacup and saucer. Teacup measures just under 3 inches tall by just under 3 1/2 inches across. Saucer measures 5 1/2 inches across. 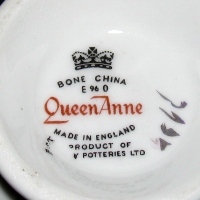 Slight crazing on bottom of teacup.